Beaches? Ski? Riviera glamour? Provencal village markets? Why choose?! The villages and small towns nestled in the hills directly behind Cannes, offer the best of all worlds. Tranquility, space, peaceful village squares and quaint markets seem a world away from the glitz and bustle of Cannes and Nice – yet in only 30 minutes drive you can be sipping champagne on the Croisette in Cannes; strolling along the Promenade des Anglais in Nice within an hour; or ski-ing within an hour and a half. Next to the perfume capital of Grasse, the bustling small town of Peymeinade offers all the necessary day-to-day amenities and markets - the modern main street concealing the surprises of a beautiful old village centre, and peaceful walks along its canal tow path. The views of the Bay of Cannes and the nearby Lac St Cassien are spectacular from the perched villages of Cabris and Speracedes, and Saint Cezaire Sur Siagne is an attractive and historic year-round market village. If you are looking for a typically Provencal location, with flexibility to suit the needs of your family and guests, this is a great area to consider. It is well connected thanks to Nice Cote d’Azur Airport (45km), and TGV stops in Nice, Cannes and Les Arcs. Renowned international schools are nearby, and Sophia Antipolis (22km from Peymeinade) is one of the largest (and best disguised!) technology parks in Europe, hosting around 26,000 jobs. Properties are available in all price ranges – please take a look and let me know if you would like further information on any of them. 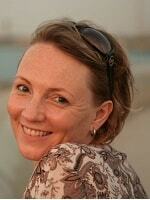 If you don’t see your ideal home listed, please let me know and I will endeavour to find it for you. Originally from Inverness in Scotland, and having worked in the airline industry based in France, Belgium and Dubai, my husband and I are now “living the dream” on the Cote d’Azur. Having bought, renovated and sold one home here; and now having bought another to renovate, the lesson I have learned is that there is no need to worry about taking the plunge, as long as you have the right team around you. Leggett Immobilier is a professional, thorough, customer friendly agency and this, combined with my experience, mean that I can offer inspiration and practical support to anyone embarking on a similar venture. You might be planning ahead or ready now to live your dream in the South of France – either way, I offer a “one stop shop” solution to your property related questions. All you need to do is get in touch, and I’ll be glad to assist you every step of the way. Grasse/Cabris. Stunning luxury villa offering 7 bedrooms & 7 bathrooms. Heated pool, garage and sea view. Grasse/Cabris. Quality villa offering 7 double bedrooms, home cinema, air conditioning, . . .
Grasse/Cabris. Stunning detached villa with sea views. Grasse/Cabris. 4 bedroom luxury villa, 2 bedroom independent apartment, heated pool, garage, . . .
Grasse/Cabris. Luxury villa with 2 self contained apartments. Sea view. Grasse/Cabris. 4 bedroom deluxe villa, with 2 separate apartments, garage, heated pool, sea . . .
St Cezaire sur Siagne/Cabris. Secluded private estate of 20 acres, including a classic Provencal style, 7 bedroomed stone built country house and swimming pool. Close to the perched medieval village of Cabris and a rare find on the Cote d'Azur. . . .
Speracedes. Truly stunning villa, recently built to exacting specifications with pool, sauna, hammam, 6 bedrooms and panoramic views across the Cote d'Azur. Speracedes. Villa of unique standards of finish and quality. Sitting above this traditional . . .
Grasse. Beautiful Villa with valley views, pool, sought after residential area. Grasse. Spacious 4/5 bed villa. 4 bathrooms, pool, covered parking, land. All within a short . . .
Cabris. Stunning villa set in landscaped grounds. Pool, stunning views. Cabris. Beautifully presented luxury villa to the West of Grasse. Set in private grounds . . .
A fabulous, south facing property in a sought after area close to the market town of . . . Le Tignet. Beautiful 8 bedroomed home with swimming pool, sauna, hammam. Within walking distance of amenities, this substantial and elegant home is situated in a . . .
Grasse. Quality 4 bed detached villa, with separate apartment, pool, garage, parking. . . . Le Tignet. Beautiful stone 19th century Mas, 6 bedrooms. Perfect B&B, almost 2 acres with pool. Superb location for this immaculate, late 19th century stone built home. Ideally set up for . . .
St Cezaire sur Siagne. Beautiful Provencal villa with stunning pool area, olive grove landscaped grounds and panoramic views to this medieval Cote d'Azur village. St Cezaire sur Siagne. 3 / 4 bedroom villa built to the highest specifications, encompassing . . .
Peymeinade. Stunning sea views from this immaculate property set on an exclusive, gated Domaine. 3 bedrooms, pool, landscaped Mediterranean garden, garage. 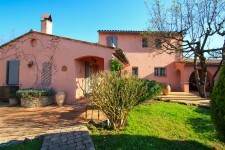 This lovely property sits above the market town of Peymeinade, on the outskirts of Grasse, . . .
Peymeinade. A substantial villa with lots of character and charm, this property is arranged . . .
St. Vallier de Thiey - Fabulous 735m2 village property, with garden, 16 bedrooms with ensuite . . . This immaculately presented property is situated in a quiet no-through road, yet within easy . . .
Grasse. 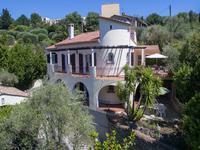 Beautiful French Riviera villa in an exclusive, peaceful location. 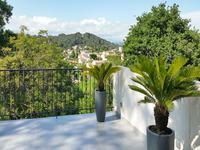 Sea views over Cannes, secluded, landscaped garden with terraces and pool. Grasse. A rare opportunity in this especially sought after location, to acquire a substantial . . .
Peymeinade. Fabulous traditional style villa with garden, pool, independent apartment, games room, cinema and garage. 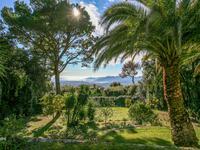 Situated on the edge of the market town of Peymeinade, just 20km inland from Cannes, this is . . .
Grasse St Jacques. 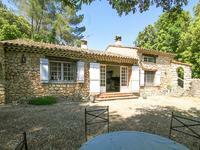 Beautiful stone built bastide, 4 bedrooms plus separate studio. Quiet residential area, pool, mature gardens. Grasse St Jacques. A superb stone built property dating from the 1920s, built over 3 floors, . . .
Close to the centre of this pretty village with weekly market, this is a spectacular property . . .
Peymeinade. Traditional stone built property with 4 en suite bedrooms, huge living area, swimming pool, garage. Close to shops, restaurants, sports facilities. In the sought after area of Peymeinade, just inland from Cannes and next to the perfume . . .
St Cezaire sur Siagne. Stunning Cote d'Azur stone built property with sea view to the Bay of Cannes. 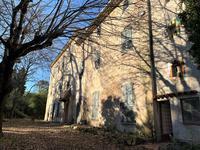 Within easy walking distance to the picturesque, medieval Provençal village of St Cezaire sur . . .
Cabris. 6 bedroom detached villa plus 2 bed self contained apartment. Pool, garden and garages. Cabris. Substantial family villa with pool, garden and self contained apartment. Offers views . . .
St Cezaire sur Siagne. Impressive villa with view of Cannes from wrap-around terrace, 5 bedrooms, 3 bathrooms, swimming pool. St Cezaire sur Siagne. Only 1km from the centre of this pretty medieval village, this . . .
La Roquette sur Siagne / Cannes border. A spacious, bright and well presented family villa with a large garden, swimming pool and independent studio apartment. Easy walking distance to amenities. Situated exactly on the border between Cannes and the village of La Roquette sur Siagne, this . . .
Tanneron, Peaceful hamlet bastide next to Lac de St Cassien. Pool, 5 bedrooms plus 2 independent studios, incredible views! Fabulous property. Spacious 7 bedroom property set in beautiful gardens with pool and panoramic views of the . . . Situated about 1.5km from the centre of this vibrant Provencal village, this bright, well . . . Le Tignet. Superb provencal villa with great potential for further development. Walking distance to village. A 4 bedroom, 2 bathroom villa situated in a tranquil position. With 3 bedrooms, bathroom and . . .
St Cezaire sur Siagne. Beautiful 4 bedroomed property situated in a quiet residential area. 5000m2 plot with heated swimming pool. Walking distance to the pretty medieval village. Beautiful views, lovely house and garden with swimming pool, on the edge of Saint Cezaire Sur Siagne village. Saint Cezaire Sur Saigne. Very well presented, 4 bedroomed house, all en suite, set in lovely . . .
Peymeinade. Traditional provencal style property on 1307m2 plot with 4 bedrooms, 3 bathrooms, 10m pool, terraces, artist's studio or office. Panoramic views! Peymeinade. With amazing views, swimming pool, terraces, 4 bedrooms and 3 bathrooms, this is . . .
A beautiful stone built conversion, detached and secluded (but not isolated) in its 3300m2 . . .
Grasse St Jacques. Superb property in this sought after residential area, with 3 bedrooms, terraces, garden, garage and pool. Grasse St Jacques. Located in a quiet no-through road, this easily maintained, bright and . . .
Cabris. Family sized village house with amazing lake views, sun room, garage, 4 bedrooms. 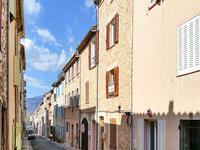 Beautiful village only 20km inland from Cannes, with panoramic views of the Cote d'Azur. Cabris. A rare opportunity to acquire a spacious double fronted home with wonderful views, . . .
St Cezaire sur Siagne. This recently renovated village property, built in 1900, oozes charm . . .
La Roquette sur Siagne. 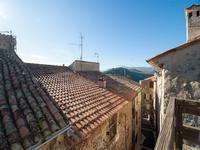 South facing 2 storey apartment with a wonderful 24m2 terrace and . . . Le Tignet. 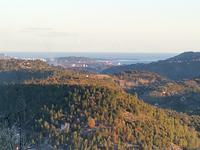 Building plot of 2500m2 with panoramic sea views to the Bay of Cannes, to the Tanneron hills and to Lac de St Cassien. Within an hour of Nice, and with views to the Bay of Cannes, this is a sizeable building plot . . .
St Cezaire sur Siagne - Urgent Sale! Character, extended 2 or 3 bed village house located in a peaceful area within easy walking distance of all amenities.